The 3M Aqua-Pure CFS110 is a whole house water filter cartridge that is a compatible replacement for the 3M Cuno Model CFS110 and AP110 filters. 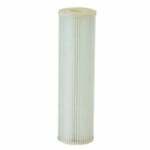 This sediment filter cartridge is compatible for use in several whole house water filtration systems, including AP101T, AP11, AP101, AP102, and any other filter housings requiring a 9 3/4 inch x 2 5/8 inch filter. 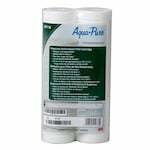 Boasting a 5 micron rating, this 3M Aqua-Pure filter reduces sediment and other particles from your drinking water. 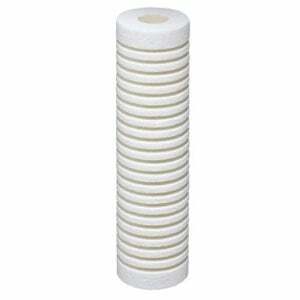 This 5 micron filter cartridge should be replaced every six months for optimal results. Dimensions: 9 3/4" x 2 5/8"